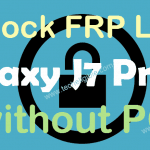 Are you facing frp lock on your device? 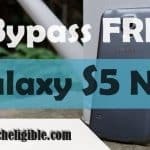 and unable to access your device because of forgotten gmail account, so you can now Bypass FRP Galaxy S7 with the help of latest frp method, good thing is that, this method is for all android version devices, and also for bootloader level 1, Level 2, and level 3 devices, so that means most of the Galaxy S7 devices can be bypassed google account easily with the help of our latest method, follow below all steps very carefully, and if you face any trouble, you can comment us below of this post. -For this method you need 1 more android device, so make sure you have another android device nearby you. -Connect Wi-Fi to Galaxy S7 device first. 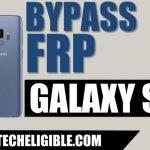 -Now we have to download one apk app on your other android device to easily Bypass FRP Galaxy S7. -Open chrome browser in your Other Android device. 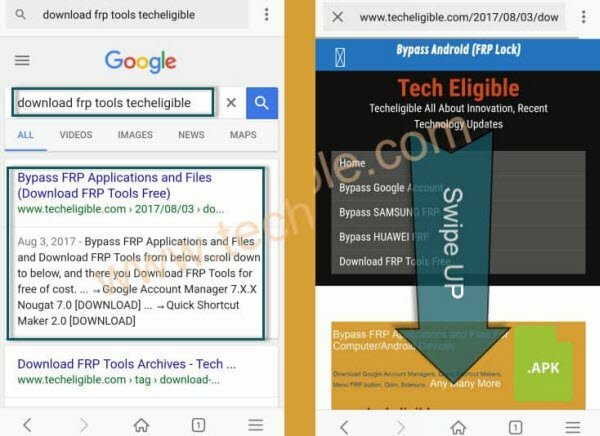 -Go to first search result as shown in below image. -Go down, and download from there “HusmSMS APK” app. 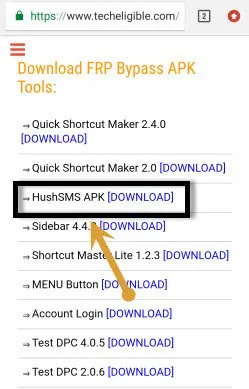 -Now install this (HushSMS) app in your other android device and open this app. -Insert SIM Card in your FRP Locked device Galaxy S7. -Now from your other android device, tap on “WAP PUSH SL”. 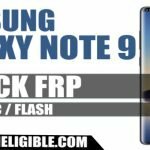 -Type mobile number of your frp locked Galaxy S7 device. -In below field, type “www.youtube.com”. -Now tap on “Send SMS” button, see below image. -Wait few second, you will see popup notification on your S7 device. -Once you get popup message, just tap on “OK”. 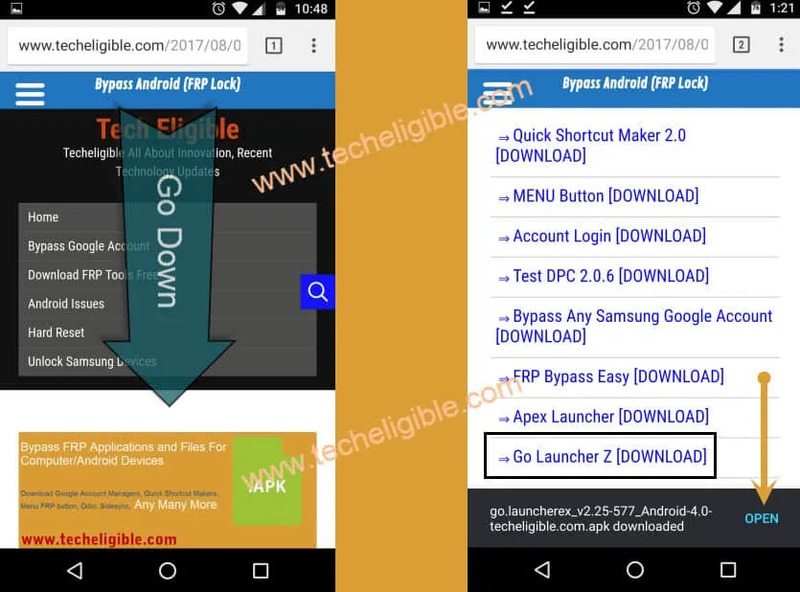 -You will be redirected to the youtube website, now we can easily Bypass FRP Galaxy S7. -If you see “Update” window, just tap on “Not Now”. -Now you will see “Update Samsung Internet” popup, just tap on “Cancel”. -To successfully Bypass FRP Galaxy S7, we have to download some apk apps in your Galaxy S7 device. -Tap on “Search bar” from top of your internet browser. -Go to first search result from there. -Go down, and download from there “GO LAUNCHER Z” application in your Galaxy S7 device. -Wait few minutes until downloading finish. -From bottom of your browser, simply tap on “Bookmarks > History > Download History”. -Now you will be able to see there your downloaded “GO LAUNCHER Z” app. -Tap on that app to install. -You will get a “Samsung Internet” popup, just tap on “Settings”. -Now tap on > Next > Install > Open. -Perfect, now we have successfully installed Go Launcher and opened it. -Congrats to access your Galaxy S7 home screen, but still we have to Bypass FRP Galaxy S7.